Ronelle takes you on an unparalleled journey of self-discovery to help you step right into your most meaningful life in the midst of a bewildering world. 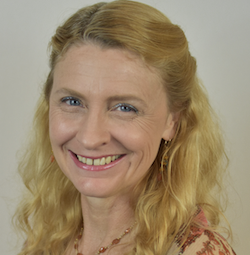 Since 1998, Ronelle Coburn, founder of www.LifePurposeNow.com has helped over 18,000 healers, cultural creatives, artists, leaders, entrepreneurs, and innerpreneurs discover their true Life Purpose so they can enjoy lives of extraordinary personal and professional fulfillment and contribute to making the world a better place. Ronelle has authored the bestselling book Life Purpose Now and been featured on NBC’s Today Show, and in Woman’s World, For Women First, Fingerprint World, onespirit.com, ofspirit.com, and Library Journal. She also teaches others worldwide (via web and teleconference) how to read the powerful Instruction Manual for Life written in the fingerprints and is devoted to helping you discover the LIFE you LOVE to LIVE. Visit Ronelle's world at www.LifePurposeNow.com for Talk To The Hand TV, Articles, Training, Consultations, Products, and more!